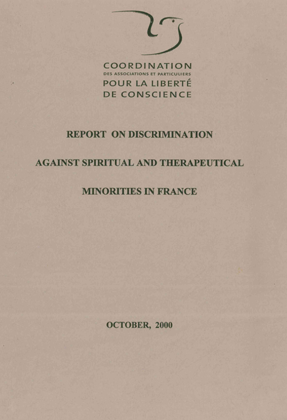 The situation of minority religions and alternative medicine practitioners in France currently gives cause for grave concern. Although France has ratified the international texts on human rights, the reality in that country is quite different: freedom of thought is often denied. Since 1985, when the French government’s first official report against « cuits » was published, the State has embarked upon a trend of persecution. At first it was relatively discreet, taking the folin of public money granted to those militant associations which oppose the new religions and label them as cuits. Yet these organizations took on the classic role of agent provocateur to gain their funding. They often stirred up the fears of parents whose children had gone to other religions and then utilized them to stir up others. In other words, they created and then selected a few dramatic incidents, using them to fan the flames, innuendo replacing honest fact. Unfortunately, the authorities were unconcemed by this. And so began what can only be called a witch hunt. The official witch hunt reached new heights with the creation of the « Inter-ministerial Mission Against Cults » (MILS) presided over by former member of parliament Alain Vivien. The repression against « out of the ordinary » religious minorities, spiritual or alternative groups rapidly took on new and alarming dimensions. 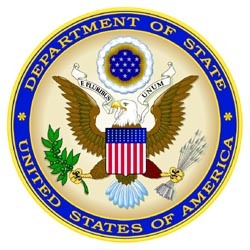 Subsequently, several international organizations for human rights wrote overwhelmingly critical reports on France: The Human Rights Commission of the UN, OSCE, the International Federation of Helsinki, and the Office for Human Rights of the American State Department. On June 26, 1999, the Parliamentary Assembly of the Council of Europe unanimously adopted a recommendation stating that a major law on cuits was not desirable. 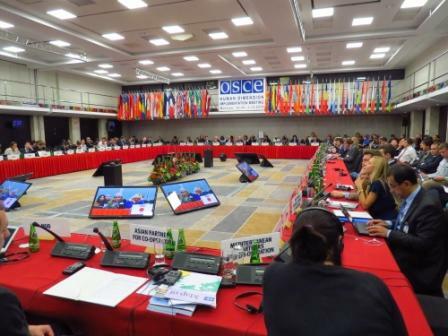 It called on the governments of the member States to support the creation of independent information centers on cuits, at a regional and national level, and in parallel to encourage a spirit of tolerance and understanding towards religious groups. On Thursday June 22, 2000, a bill was adopted to reinforce the legal weaponry with which to fight « groups of a cuit nature. » Adopted at its first reading, with only 18 members of parliament present at the Assembly, this bill was largely inspired by the project set up by member of parliament Catherine Picard, president of the parliamentary group on cuits. It took up various elements previously proposed by Senator Nicolas About and members of parliament Jean-Pierre Brard, Eric Doligé and Jean Tibéri. The bill has caused an outcry of international criticism. The bill voted on June 22 contains articles which will have a far-reaching effect in denying freedom of assembly, belief and religion. Firstly, it makes it possible to pass sentence on an entire legally established group if a minor offence is committed by one or a few individuals. (Many minor offences are listed in this capacity.) It then sets up a rapid legal procedure for the dissolution of such groups. Finally, it creates a new crime called « mental manipulation » and proposes severe punishments; but the wording of this crime is subjective in nature, violating the constitutional principle that offences must be clearly defmed in order to avoid arbitrary punishment or condemnation. The crime of « mental manipulation » has great similarities with the crime of « plagio » (mental subjection), created by the Italian fascist administration in 1930. This was withdrawn from the penal code by the Italian Constitutional Court in 1981, to avoid the danger to democracy that could corne from too broad an application of this notion. Under Mussolini the crime of plagio was created to suppress communist propaganda. 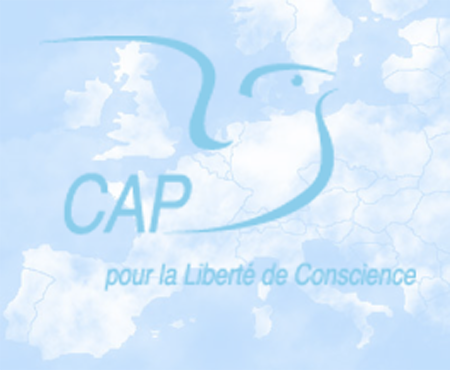 An investigatory commission for violations of human rights took place on March 3, 2000 in Paris, organized by the Omnium des Libertés « Omnium of Freedom. » This commission was created to defend freedom of thought alter publication of the first Parliamentary report in 1996, which blacklisted 172 religious or spiritual groups. Pastor Robert Hostetter, first Pastor of the Liberal Protestant Church of Belgium, Philippe Gast, French jurist. Dozens of people from varions areas of France testified about discrimination they suffered due to their beliefs or ideas. 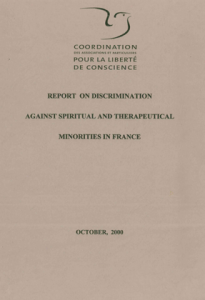 Because of the large number of testimonies from members of about 40 minority religious groups, it was decided to make this Investigatory Commission permanent and also itinerant so it could collect testimonies in the main French towns. 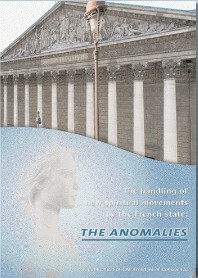 The groups from which testimonies were obtained include the Unification Church, the Re]. Church, Sukio Mahikari, the Universal Church of God’s Realm, the Church of Scientology, the Family, Hare Krishna, Galacteus, the House of John, Horus, the Avallon Order, the Temple of Initiation, Energy and Creativity, and others. 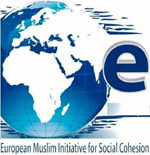 During the commission’s hearing, the victims of discrimination joined to form the Coordination of Associations and Individuals for Freedom of Thought. The Permanent Investigatory Commission went to Marseilles on March 29, Lille on April 19, Lyons on April 28, Rennes on May 17, Brussels on May 26, Auxerre on June 10, and Tours on June 29. The stories which follow are extracts from 150 testimonies gathered during these hearings.